SMS de México is a full service recycling company specializing in the creation of customized recycling programs designed on a plant-by-plant basis. 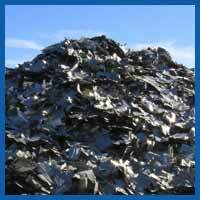 We engineer programs individually for customers based on their recycling goals. At SMS our priority is to protect the customer interests, needs, and environmental concerns. SMS has both the experience and extensive understanding of commerce in Mexico. Our on-site business management groups are completely versed in federal, state, and local laws and regulations regarding import, export, and environmental programs so that operations are NAFTA compliant. We provide industrial recycling solutions!